Emily is a newer nurse manager, and it seems her organization, like many other organizations across America, is feeling the effects of the national nursing shortage, coupled with trying to keep its head above water financially. In an effort to effectively use its human capital in a more efficient manner, Emily’s organization made the decision to float staff and increase patient care ratios. Emily found this out during a monthly leadership meeting. She left the meeting feeling a bit deflated, wondering how she could ask her staff to do more with less, cross train, AND increase patient-to-nurse ratios. Emily reached out for guidance regarding how she could best support her staff through organizational change. She was also intuitive enough to know HOW she presented the newest mandates would influence how her staff reacted to the news. A study by Mortier and Colleagues (2016) showed that the nurse manager’s authentic leadership style and level of empathy, as perceived by their staff, influenced nurse vitality. When we talk about increasing nurse resiliency and reducing burnout, vitality becomes particularly important. Dan Goleman and Bill George, experts in empathy and emotional intelligence discussed how a leader may HAVE empathy but may not COMMUNICATE with empathy. Nurse leaders need to ensure they are not falling into this trap, especially as top-down mandates regarding changes in healthcare delivery emerge within healthcare organizations. Leaders unfamiliar with the need to communicate with empathy may find themselves sending mixed messages to staff. Staff needs to understand the “why” of organizational change in order to support changes. During a talk with Bill George, Daniel Goleman said, “Leadership depends on tuning into people, talking to them in a way they understand, motivating them, influencing them, and listening to them.” They discussed how a leader’s empathy is empty without authenticity. Effective leaders have all 3. In addition to the 3 types of empathy, Goleman (2015) explained leadership empathy as a key influencer on staff retention. He goes on to explain how Neuroscience plays an important role in leadership empathy actions. Veronesi (2009) also explained how “…actions taken by leaders affect brain chemistry of not just the leaders but also those they lead.” Staff often mirrors actions and emotions they see in their leader. If Emily presented the mandated changes negatively to the staff, the staff response would likely be negative. Why? Because of mirror neurons. Mirror neurons are found throughout the brain and function much as their name implies. Simply put, Mirror neurons mimic the behavior of another person. Role modeling is a valuable leadership tool and we can thank mirror neurons for that! Goleman even mentions how the delivery method of positive or negative news is as important as the news itself! This is a strong message for nurse leaders as they deliver news that may be negative. Mirror neurons are the most commonly discussed neurons, but other neurons play an important part in leadership. Veronesi indicated social neuroscience is another important aspect in leadership development. In addition to Mirror neurons, Spindle cells play an important role in choosing or intuition. Spindle cells activate and provide us with that gut feeling about a person or situation. Veronesi informed that Spindle cells activate within one-twentieth of a second regarding a person or situation! Leaders should use this knowledge to understand why it is so important to be genuine and not “fake” it when delivering positive, and especially negative news. You can deliver difficult messages with empathy, letting staff know you understand how the changes may impact them, or the care they deliver. The oscillator cells also play an important part in social neuroscience and leadership development. Simply put, the oscillator cells allow for smooth movement between two individuals. Social intelligence, according to Veronesi, uses all three of the social neuroscience neurons. The interesting thing with social intelligence is a leader cannot fake social intelligence. If they attempt, they appear disingenuous and leave staff feeling awkward. We all probably can identify a leader who lacks social intelligence, perhaps even tried to fake social intelligence resulting in awkwardness. After Emily sought guidance from a trusted colleague, she was able to share the news with her staff in a way that showed empathy, an understanding for their concerns, and a re-commitment to their goals/mission to provide high quality, compassionate care. Emily became the cheerleader for her staff by adopting a “we got this” attitude, which in turn her staff mimicked. Go Emily go!!! To cultivate socially intelligent leaders, we need to rewire our social circuitry through true behavioral change. Although not an easy task, it is not impossible, if the organization values the leader enough to invest in their professional growth, and the leader is willing to change, then transformation is possible!! Do your leaders need help developing their emotional and social intelligence? Renee Thompson, RN, DNP, Founder of The Healthy Workforce Institute and her team work with organizations and their leaders to transform their work cultures through organizational, leadership, and employee development. Contact us today. 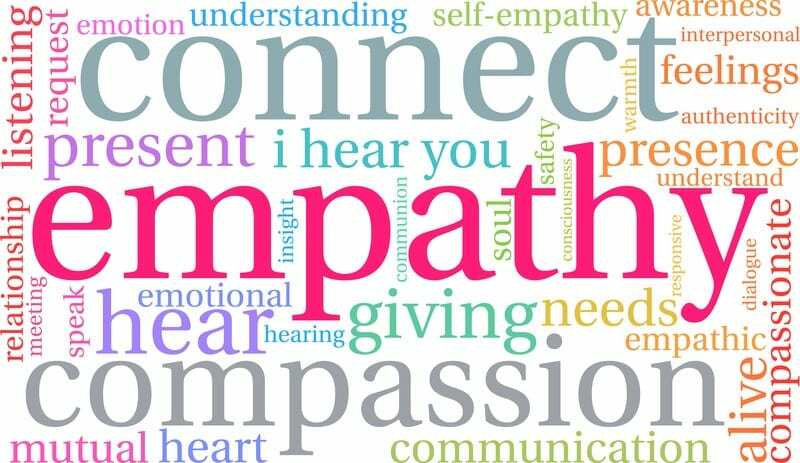 I was very happy to come upon this article about empathy in leadership in nursing, as I am currently working on a couple of websites dealing with support for nurses and nontraditional options for nurses. Empathy is a big part of my concept, so I was pleased to see this writing. It was a good explanation of types of empathy and how it works when you are trying to encourage change in leadership in nursing. Thanks for taking the time to comment. Empathy is an important characteristic of a healthy workforce culture! !